November 2014 - Lochearn Summer Camp for Girls - Our Girls Sleepaway Camp Blog! It’s that time of year when life is as busy as ever, but we still find time for family, friends and a pumpkin spice latte here and there. So let’s give thanks! We’d like to take a moment to reflect on the experiences we have at Lochearn. We realize that we are so blessed to have had the opportunity to join the Lochearn community this past year. The all-girls atmosphere at Lochearn is a powerful force that allows young women to celebrate each other’s individuality and differences, all while becoming more confident in themselves. Even with the changing of seasons and the colors of fall surrounding us, we always go back to thoughts of a Vermont summer, of our wonderful time on Lake Fairlee, and especially the Lochearn motto. 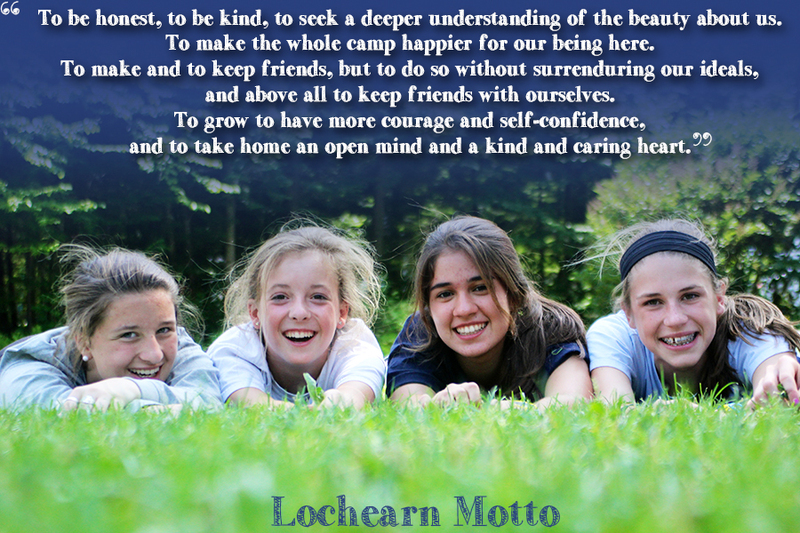 The values of the motto are shared and lived daily with Lochearn’s staff and campers. We keep these lessons close to our hearts when summer is over and we reflect on the joys of spending our shared summer experiences with such an incredible group of campers. Remember to appreciate the little things in life and notice the beauty around you. We wish you a wonderful and gracious Thanksgiving! This entry was posted in Camp News and tagged camp for girls, Camp Lochearn, Camp Lochearn motto, fall, girls camp, girls summer camp, give thanks, reflection, Thanksgiving, Vermont Summer Camp on November 18, 2014 by Lochearn Admin. We love featuring Lochearn Lassies on our Facebook and Instagram account. Send your photos, accomplishments and stories to Tony (tony@camplochearn.com) and you may find yourself featured on our social media profiles! Check back weekly for fun new social media contests on Instagram, announcements on Facebook and Lochearn recipes and quotes on Pinterest. As always we welcome your likes, comments and shares! 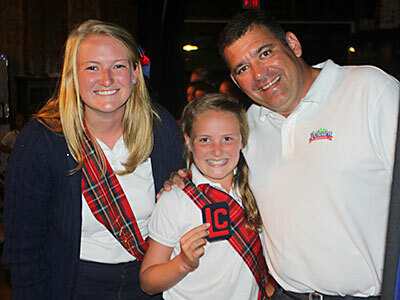 Thank you for being part of the Camp Lochearn community! Meet Tony on the road! Tony will be traveling during the school year and might be coming to a city near you! Do you love Lochearn and want your friends to join in on the magic? Kids, parents, family and friends welcome! Don’t forget about these important dates also! For additional Lochearn news please check out the most current issue of The Bagpipe. This entry was posted in Camp News, Uncategorized and tagged camp for girls, Camp Lochearn, girls camp, girls summer camp, vermont camp on November 4, 2014 by Lochearn Admin.